Student Accepted to MIT With Kibin’s Help! 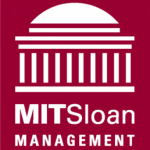 Kibin editors helped Scott Lansing polish his personal statement essays as part of his application to the prestigious MBA program at Massachusetts Institute of Technology (MIT). Scott, who calls himself a “fringe candidate,” credits Kibin’s help with his acceptance into the program. Scott used two editors to proofread his essays for grammar, clarity, and style. Amelia has edited 652,332 words on Kibin and has worked in the editing industry for ten years. 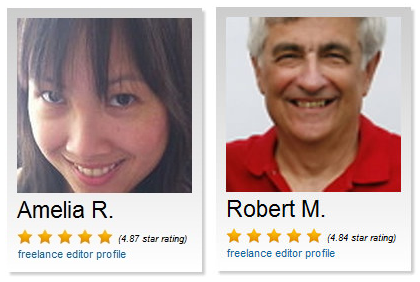 Robert has edited 59,417 words on Kibin and holds an MBA degree in Finance. “Amelia and Robert showed care and effort beyond the call of duty to proofread my application essays and provide incredibly insightful and meaningful feedback. I am so grateful to them for their keen editing ability” Scott told us. Kibin’s dedicated professional proofreaders & editors often go above-and-beyond basic grammatical edits by giving suggestions to improve personal voice, poignancy, and impact in writing. Requests for this type of editing have become so popular on Kibin that it inspired us to dedicate an entire editing type to it: our Stylistic Editing. Kibin’s stylistic editors are analytical deep thinkers capable of giving sound, actionable advice, along with basic help with grammar, spelling, and punctuation. Students applying to college, graduate school, law school, business school, or for internships can benefit from Kibin’s editing services. Our editors do not write or rewrite essays, but rather strive to bring out the author’s voice in a clear and meaningful way.